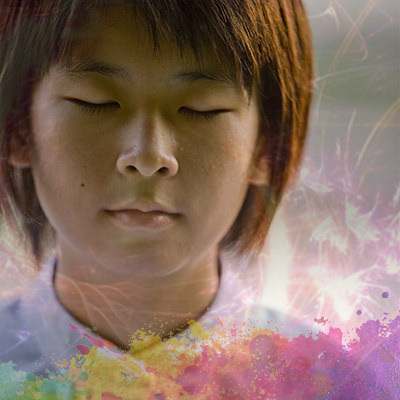 The concept of meditation for children evokes a curious response for many people. While many can conceive of the potential value of meditation, there is often the question – what is the necessity? Children already exist in a state of innocence, are closer to their true nature, are more free in their expression, and are naturally meditative. What is also true is that children often feel misunderstood, separated, alienated, and burdened by the ideas, beliefs, judgments and impositions of the world. They feel afraid, confused, and in need of guidance from adults who themselves are often struggling to attain inner clarity and peace. What can meditation do for children? Children need to be encouraged, playful, and fully participate in life. At the same time, they also need to lean how to sit silently and look inside. Active Meditations for children incorporate active and passive stages to keep things fresh, interesting, and engaging. The active phases involve body movement, laughter, gibberish, and dance. The silent phase involves a quiet introspection. Through activity children release their pent-up emotions, fear, and anxiety, and through the silent stage feel relaxed physically and mentally. The Active Meditations for children are short and fun to practice. They can be done in a classroom setting or at home with parents. Over half a million babies are born on the planet each year. Every soul comes with their unique blueprint and potential, and no one knows what that potential is. The word ‘education’ means ‘to draw out’ and help the potential hidden in each child to blossom. Unfortunately, no education system in the world is set up to help children find their unique individual gifts and life purpose. Education systems have never focussed on the individual, on the contrary, they have tried to repress anything that would bring out the child‘s individuality. Our education system teaches children to compete, conform, and fit into a socially acceptable norm. it is set up to turn people into utilitarian machines programmed to serve the society and the status quo. This undermines every chaild’s creativity and inner power and prepares them for failure. Uprooted from their potential and consciousness, children grow up to become insecure, frustrated and unhappy adults who don’t know how to look inside, trust themselves, and find their unique voice. When they become parents, they unconsciously pass on to their children the same beliefs and conditionings that they themselves were programmed with. To break this perpetual cycle and lay a foundation for a completely new education system, teachers themselves need to start learning how to meditate and heal into consciousness. To accomplish this, all universities that are preparing future teachers must begin to incorporate meditation and self-exploration as a compulsory subject. This change has to simultaneously also begin with training the existing school teachers within the education systems how to meditate and transform their fears and beliefs into self-empowered consciousness. 1. The first is the informative dimension: languages, geography, environmental studies etc. 2. The second dimension: scientific subjects, math, geometry, physics, chemistry, etc. Here the teachers are only guides. They show how to find the latest books on a subject, how to use the computer. They make the pupils aware of the current knowledge, the latest information. The kids themselves have to do the real inquiry. 3. The third is ‘the art of living’ and sense of humor. Every child should be helped to transform his anger, hatred, jealousy etc. into love. An important part of the third dimension should also be a sense of humour. Our so-called education makes people sad and serious – and a man who forgets the language of laughter has forgotten much of life… A reverence for life should be the foundation of the third dimension, because life is God and there is no other God than life itself. 4. The fourth dimension is art and creativity: painting, music, craftsmanship, pottery, masonry—anything that is creative. unless a man learns how to create, he never becomes a part of existence, which is constantly creative. By being creative one becomes divine; creativity is the only prayer. In this fifth dimension will be all the meditations, so that you can know that there is no death, so that you can become aware of an internal life inside you.